Marilyn SanClemente January 5, 2015 January 5, 2015 Blendabilities Markers, Mojo Monday Sketch Challenge, Occasions catalog, Sale-a-bration, Stampin' Up! 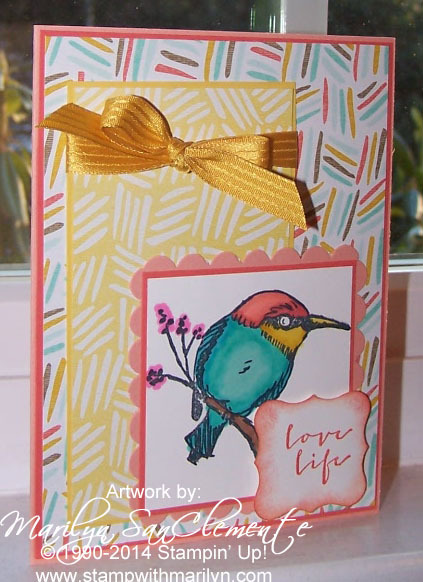 Today I have a handmade Thinking of You card that I made using the new Sale-a-bration Designer paper and a SAB stamp set – “A Happy Thing”. And Sale-a-bration (SAB) starts tomorrow! 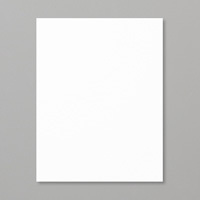 Just as a reminder, for every $50 in product that you purchase you can choose an item from the SAB catalog. 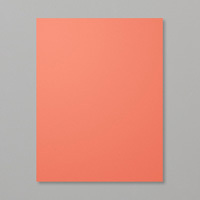 Card Stocks: Crisp Cantaloupe with a layer of Calypso Coral and the SAB designer paper – the Best Year. The next layer is Hello Honey and another one of the patterns from the SAB DSP. This layer is finished with a piece of Hello Honey ribbon. 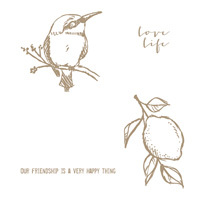 The Bird is from the SAB stamp set – A Happy Thing and is stamped on whisper white cardstock and colored with Blendabiltities Markers. the Coastal Cabana markers were used on the Bird’s body. Daffodil Delight and Calypso Coral was used on the Bird’s head. The layers around the bird are Calypso coral and crisp cantaloupe. 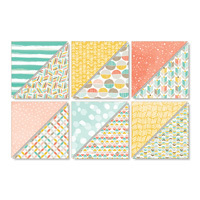 The Centaloupe piece is scalloped using the Scallop Border punch. The layout for this card is inspired by the Mojo Monday layout for today. I am really liking this stamp set and Designer Paper! Handmade Thinking of You. Bookmark. I can’t wait to get this stamp set. Very sweet. Love these pretty papers. Great card! Thanks for playing along with Mojo Monday!